Kosta Boda is a world leading brand of glass art. Ever since 1742, thought-provoking designs have been created and refined by the Swedish brand. Two of the most innovative Kosta Boda artists – Åsa Jungnelius and Ludvig Löfgren – have now created a series of six products in unique colours, exclusively for Weekday. 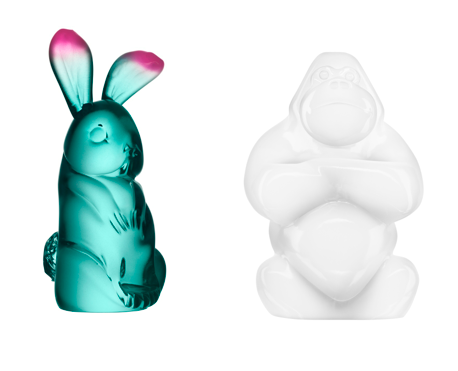 The series of products include bespoke Kosta Boda-pieces such as Make Up Hot Lips, Still Life Skull Votives and Gabba Gabba Hey. The six pieces, all in exclusive colours, will be available in Weekday stores from May 3rd on.